Families can spend countless hours scouring the Internet and self-help books for advice on how to get recruited. But between school, practices, work and other extracurricular activities, it’s tough to find the time to do the research and piece it all together. To save families time and energy, NCSA has created the College Recruiting Guide. Here, we’ve laid out all the steps your family needs to take to successfully navigate the recruiting process. With advice from current and former college coaches and athletes, we’ve provided the basics, as well as insider tips that only come from years of recruiting experience. New Trends in Recruiting That You Should Know About! 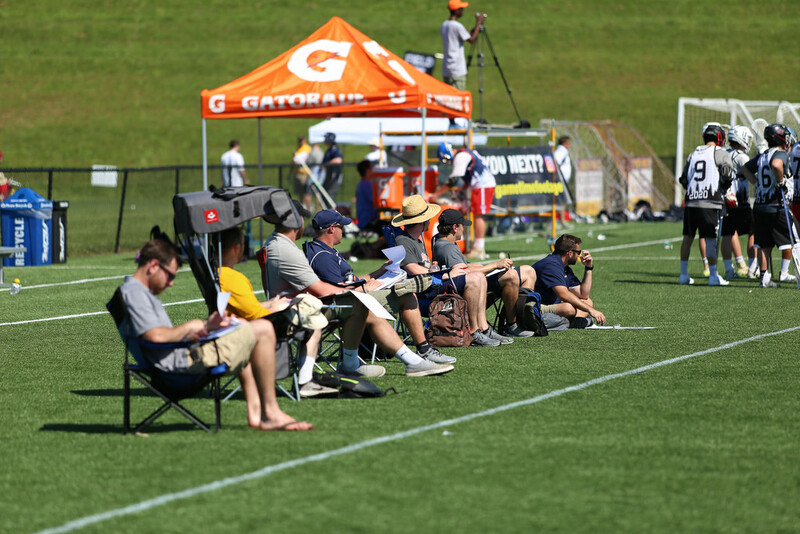 With the recent changes to the NCAA's recruiting rules for Men's and Women's Lacrosse, we have seen the beginning of the shift from the prior rules. As current student-athletes navigate the recruiting process it is important to have an understanding of how the new NCAA rules will change things. 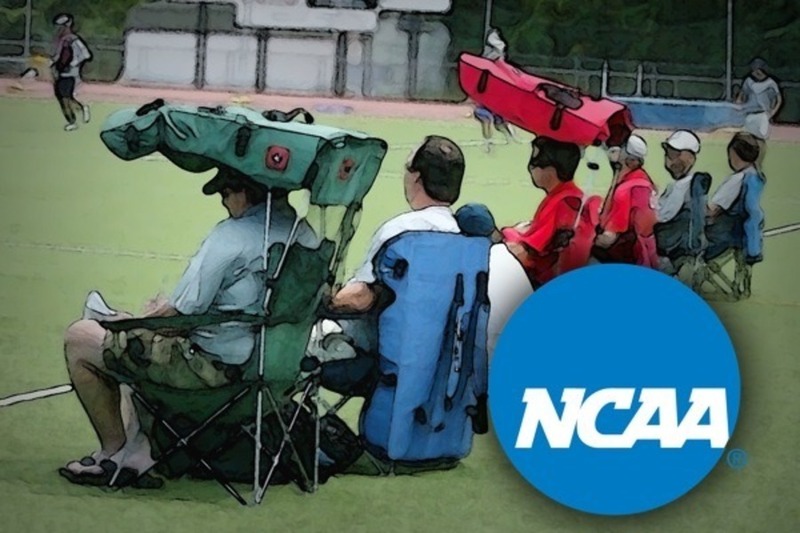 Going into effect in the spring of 2017, the Men's and Women's College Lacrosse Coaches along with the NCAA enacted new recruiting rules for college lacrosse. The goal of the new rules was to slow down the accelerating pace of early recruiting and give players and coaches more time to make informed decisions. In the first year of the new rule changes, there hasn't been a major change other than coaches not being able to communicate with younger athletes. A lot of 2019's were committed verbally prior to the rules changing and those that were not were still on a fall timetable. There have been some small signs of change this year, with players changing schools a little more readily and coaches becoming more willing to "re-recruit" previously committed players. Most likely, the major shifts will be seen this September 1st and onward. Under the previous rules, college coaches could not communicate officially with student-athletes until September first of their senior year of high school. However, the process trended towards some players verbally committing in 8th grade. Under the old system, college coaches could talk to a player's coaches and then schedule on-campus visits. When he or she was on campus, the player and a college coach could speak freely about the school and recruiting. This sidestepped the system and allowed for increasingly early commitments. The new set of recruiting rules put forth by the coaches and the NCAA now forbids any and all communication regarding recruiting until September 1st of an athlete's junior year of high school. Communication regarding recruiting with coaches, parents, and anyone else is prohibited as well. Since colleges are now only communicating actively with 1-2 grades, instead of 4-5 as was common before the rule change, they will have much more time to look at the junior class. There is also no sign of the re-recruiting trend slowing down. While in the past this was taboo, it is likely to become the new norm under the current rules format. The commitment landscape will begin to mirror that of NCAA Football and Basketball, where players commit and de-commit much more regularly and are continuously recruited by multiple programs. This is great news for players who are feeling left behind in the recruiting process. The ebb-and-flow of this new landscape would create much more fluctuation later on in the recruiting calendar, therefore giving players more time to find their home. Some schools are saving spots for the late bloomers. They know that even if the player is committed to another school, they will have a high chance of pulling them from their prior commitment. If a player decides to "trade-up" and attend a top ACC school after having a stellar Junior spring and summer, a spot then opens up at the mid-major that they just left. This, in turn, gives other players, committed or not, the opportunity to continue their search. There is no reason to see this process as unethical - no one is forcing anyone to do anything. Colleges are offering great opportunities to attend their institutions and players are choosing the best academic and athletic situations for themselves. Nothing is going to be final until pen meets paper! At the same time, while coaches are looking to find the late-bloomers, players will also change their minds and move from school to school more regularly. Eventually, it will be the norm to see players who are not truly committed until signing day. The #1 recruit will sit down at a table with three hats in front of him and pick one up, just like we see today in football and basketball. 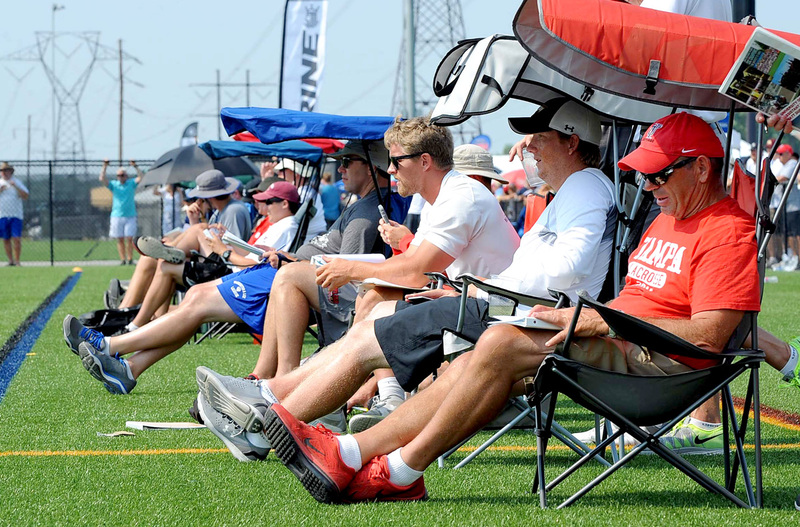 Since coaches are only allowed to communicate with juniors and seniors, the focus of the summer for younger players should be personal improvement. Being the best player possible is by far the easiest way to be recruited! Being seen is very important, but being good when you are seen is by far the most important thing. Recruiting the right players is one of the most important jobs of a college coach, and they always do their due diligence. It is not enough to be seen playing well once - you need to be good all of the time. Focusing on improvement is the best way to make sure you are the best player possible when you hit the recruiting process. After a college coach sees you play, they are going to try and see you again, and they are going to call your coaches to see what they think. How good is he? Does he work hard? Is he a good person? Does he really care about being the best he can be? If your focus is on personal improvement in the offseason with a team-first mentality, then more often than not, the answers to the above questions will be in your favor. While players are seeking to improve their game, they should find unique experiences that will allow them to learn from the best instructors possible. Diversifying your training experiences will allow you to see the game from every angle and develop a well-balanced skill set. This is how to learn new and different techniques or skills that, when combined with what you learn on your own, can make you a truly great player. Working with and learning directly from college coaches is great way to create a new experience. They are on the cutting edge of technique and work with players at the highest levels. Also, playing in front of college coaches will allow them to see how coachable you are and what type of player you can become. At the same time, you will have the opportunity to learn the various coaching styles and personalities so that you are more knowledgeable during your recruiting process. It is also essential to train with peer groups that have the same skill level and goals. Training in the right environment is the best way to get the most out of your efforts. Finding a peer group of driven, like-minded athletes that will push you to be your best is an invaluable asset. Learning from your peers and continuously being challenged will force you to develop to your highest potential. An environment and culture of hard work like this will be something that can help you for the rest of your life, whether on or off the field. With all of that said, never forget that lacrosse should be fun and provide you with amazing experiences that you will never forget. Find these experiences and take advantage of them! Figure out what will make an experience special for you and go for it! !